Many affluent Americans will go on as many as six vacations a year, a BMO survey finds. This isn’t your typical National Lampoon’s Family Vacation. Affluent Americans plan to spend an average of $13,249 on vacations this year, according to a study recently released from BMO Private Bank that profiles how high-net-worth Americans vacation. 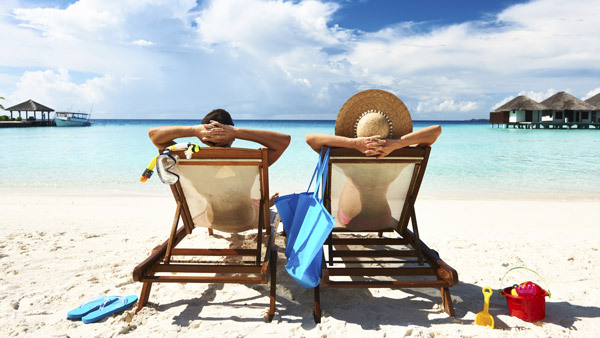 The study, part of BMO’s Changing Face of Wealth series, reveals that affluent Americans (those with more than $1 million in investible assets) expect to spend an average amount of $2,900 per trip. Many affluent Americans will go on as many as six vacations a year. In fact, the study finds that a majority (63%) plan to travel three times or more a year for pleasure. Darrel Hackett, president of BMO Private Bank, believes this gives financial professionals an opportunity to get involved. “Regardless of your income level, ensuring you are financially prepared for your trip will help you make the most out of your vacation, allow you to relax and escape the stress of everyday life,” said Hackett, in a statement. The study reveals quite a bit about high net worth Americans’ traveling habits, including that 77% of those surveyed choose to fly economy, and the rest (23%) choose business or first class. In addition, the study finds that most (69%) high net worth travelers prefer to stay in a four-star hotel. Some will splurge on the five-star hotel (20%) or the all-inclusive resort (24%), according to the study. Perhaps surprisingly, the study finds that more affluent Americans prefer traveling in the spring (72%) and fall (76%) rather than during the peak summer season (64%). And, according to the study, less than one-fifth travel during the holidays. Most affluent Americans (89%) choose to travel within the United States, but other popular travel destinations include Canada (30%), Asia (25%), Mexico (22%), Central/South America (17%) and Australia (18%). With nearly half (49%) of the affluent Americans saying they usually travel to Europe, Hackett believes this provides another opportunity for advisors. The survey results included in this study are from online interviews with a sample of 493 Americans 18 and older who have at least $1 million in investible assets. Surveys were conducted in October 2014.